When you’re seriously researching car shipping, chances are you don’t have the luxury of waiting until next season to transport your vehicle. However, you should be aware that both the weather and the time of year can play a role in how much car shipping costs, how long it will take, and how you’ll need to prepare your vehicle prior to shipping. Knowing how the season will impact your shipment will help you plan and budget for your car’s journey. Forewarned is forearmed, after all! We’ve put together a guide that lays out the biggest differences between winter and summer car shipping — including what you’ll need to do to make sure your vehicle is ready for transport. 1 What makes summer car shipping different? 2 What makes winter car shipping different? What makes summer car shipping different? You might guess that shipping a car in the summer can be easier, and you’d be right. Things move much more smoothly in the auto transport industry in the warmer months. That’s because carriers don’t have to deal with harsh, unpredictable weather conditions in most locations (especially up north), so there are fewer delays. Plus, there’s more demand for shipping and loads are picked up faster, so you may even get your car more quickly than anticipated. That said, car shipping in the summer can be more expensive because of the higher demand. Some people are willing to pay a premium in the warmer months to get their vehicles onto trucks faster, and many auto transport companies capitalize on this fact to compensate for the slower fall/winter season. Is the potential for faster transport with fewer hiccups worth paying higher summer prices? Only you can make that call. 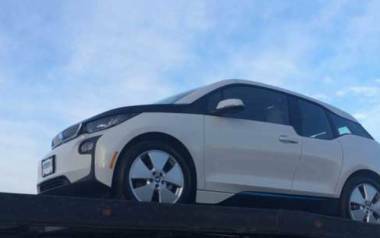 What makes winter car shipping different? As noted above, car shipping in winter can be less expensive because there is less demand. Therefore, carriers are competing for business and have more open spaces on trucks that they’re trying to fill. So what’s the downside? You can encounter weather-related delays or other delays related to route closures when you ship a car in the wintertime, though of course the vast majority of vehicles still make it to their destinations on time. Shipping in general may take longer because loads are picked up more slowly and some carriers won’t service certain routes at all in the coldest months of the year. Still, if you need to transport a car in the winter, shipping it with an auto transport company is definitely the way to go. It might take a bit longer than driving it yourself, but it will be much, much safer. Truckers are trained to deal with harsh winter road conditions and know alternate routes, so you get the peace of mind of knowing your car will get where it needs to go regardless of the weather. Wash your vehicle, inside and out. Make a note of and take photos of any existing dents, scrapes, and other damage, and log the mileage. Remove any valuables you normally keep in your car, like custom stereos, DVD players, and GPS systems. Remove or secure loose parts like antennas and custom spoilers. Take your car to the mechanic for a checkup if you haven’t had it serviced recently. Make sure your car’s gas tank is no more than a quarter full. Have an extra set of keys made if you don’t have one. adjust your tire pressure for the temperatures your car will encounter at its destination. Your tires will gain or lose 1 PSI of pressure for every 10-degree change in temperature! Finally, plan to give your car a thorough wash after transport because your vehicle may encounter rain, dust, and mud on the road during summer car shipping or road salt, sand, and dirty slush in winter. Looking at winter shipping options? Keep in mind that shipping a vehicle in an open carrier in the winter will expose it to harsh conditions, sand from the roads, and ice melt — all of which are more likely to cause damage to antique or specialty vehicles. If you’re looking for wintertime car shipping for a vehicle that’s particularly valuable, consider choosing enclosed auto transport. That way, you can be sure that your vehicle will be totally protected from the elements during its journey. 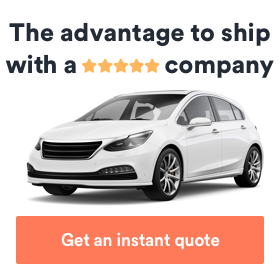 The car shipping industry is a highly seasonal one, which means the time of year will always come into play when you’re getting quotes from auto transport companies. You probably won’t see drastically different shipping prices from month to month or from season to season, but do keep in mind that seasons can affect prices. In summer, you may pay more to ship a car — particularly if you’re booking transport on a very popular route. There are more people looking to move vehicles, making each spot on a carrier more valuable. You could pay more to ship your vehicle from larger metro areas like New York, Miami, Chicago, and Los Angeles and to destinations down south since so much traffic is moving in that direction. That said, you could pay just as much to ship a vehicle during the winter if you’re sending it southward during snowbird season. Again, it’s all about demand, and winter is when many retirees up north relocate to states like Florida, Texas, and Arizona to enjoy the warmer weather. Many times, carriers will avoid the shorter route in winter because they’re more hazardous in ice and snow, and so you may end up paying more to ship to and from certain northern destinations in winter because the route is longer or less predictable. Major weather events can also have an impact on shipping prices. If your shipment happens to coincide with a major event like a hurricane or blizzard, you may pay more. When the number of auto accidents goes up, some car shippers increase their prices. 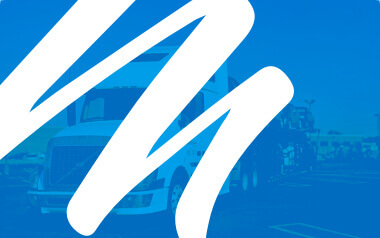 And gas prices, which are highly variable and affected by the seasons, can impact the price of auto shipping, too. Of course, most auto transport companies don’t publish an annual rate sheet so the only way for you to know how much car shipping in any season will cost is to request a quote. If you have the freedom to choose when you’ll ship your vehicle, remember that cost still shouldn’t be your only consideration. Sometimes the most expensive option (whether you’re looking at winter car shipping or summer car shipping) will be the right one because it’s faster, safer, or more direct. Get your free door-to-door transport quote today! Or read what our customers say about their experience with Montway at Montway Auto Transport reviews. Pay it forward in practice!